A number of recent and proposed buildings in Sydney are developing a local style that represents the spirit of Sydney, says the Urban Taskforce. 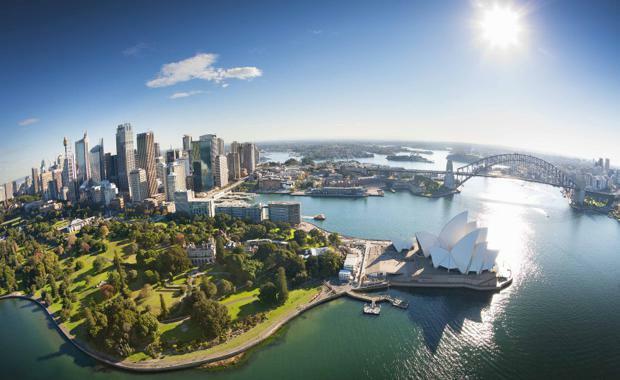 “It is important that the character of the buildings that define Sydney has a local flavour that makes Sydney a special city through its built environment as well as through its natural features. “There are at least a dozen buildings that are under construction or planned that use curvilinear forms that are reminiscent of Sydney’s harbour coves, the billowing sails on the water, the winding river valleys, the flowing beaches and the weathered sandstone headlands. For many years planners have encouraged rectangular grids with buildings that neatly line up with the streets but now developers and their architects are breaking out of the orthogonal box to celebrate the spirit of Sydney with its flowing curves. “Curvilinear buildings that are under construction or soon to be built include the office building at 200 George Street, many of the Barangaroo buildings particularly the Crown Resorts hotel and a number of new residential buildings at Green Square and in the Sydney CBD. “Along with the taller towers there are a number of medium rise curvilinear buildings including the new restaurant building and the ‘Cloud’ apartments at Barangaroo. “It is important that we have a debate about Sydney’s character as we move into a city building boom so we can decide if Sydney should have its own local character or should it look like any high rise city. The Urban Taskforce believes Sydney already has a special character but to date this has been mainly defined by our natural features. Now is the time to drive a ‘Sydney Style’ and build on the innovative designs now under construction or about to be built. “While most buildings to date in Sydney have fitted the orthogonal grid defined by planners it has been entrepreneurial developers and their architects who have challenged the planning system to create buildings of a Sydney character. In recent decades it has been Lend Lease with architect Harry Seidler who produced buildings like Australia Square and the MLC Centre. At a domestic level Stan Symond’s Seaforth House and Reuben Lane’s Breen House championed new nonlinear approaches. Of course Jorn Utzon’s Opera House is the best example of the Sydney spirit and to some extent the Opera House now defines this spirit. “Increasingly planning instruments like SEPP 65 require design excellence and design review panels established to advocate for design quality. The next step could be a floor space bonus for contributing to the ‘Sydney Style’ so that Sydney becomes the most local of the Global cities." The case for a Sydney Style is set out in the Urban Taskforce's Urban Ideas publication which can be viewed here.